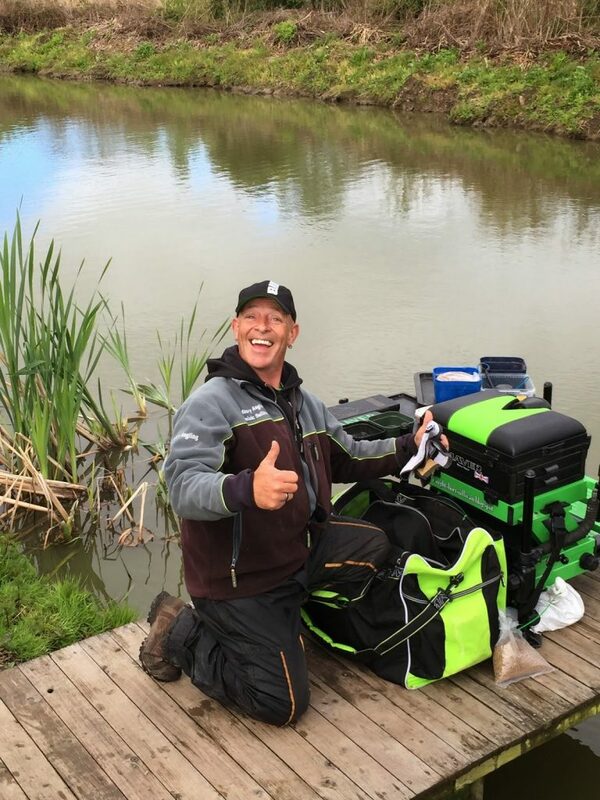 I always look forward to these two day events and this weekend it was individuals and not pairs, on arriving there was a decent turnout of sixteen anglers including the Wickhams and fellow blogger Dom Sullivan, no sign of Brandon, thank God! 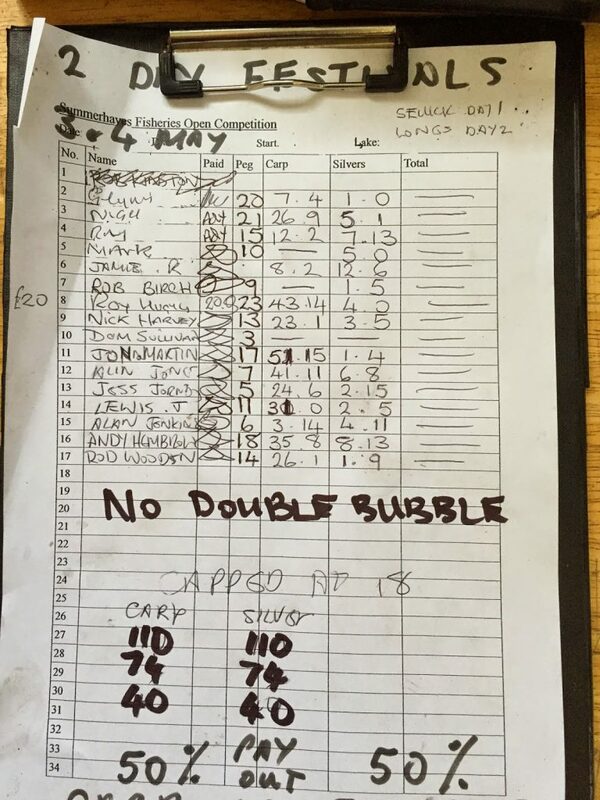 I paid my pools for the two days and had a coffee before it was time to draw, we were all on Sellicks today and I was hoping to avoid the carpy pegs at the top end. Glynn went in and pulled out peg 20, a great silvers peg and one he’s won off several times recently, his brother Nigel was next door on 21 which is another really good peg for skimmers but it probably wouldn’t do them any favours being next to each other. Ray had drawn peg 15 which is one of the better carp pegs but it can produce some decent nets of silvers. Most people had drawn so I went for it and there were only two balls left, I picked one and opened my hand and the number 2 was staring back at me, a great silvers peg and I was well happy with that. Nobody was in peg 1 so I had some space and Dom was on peg 3 and he normally fishes for carp although I’m sure he would be feeding a silvers line too. The weather was actually quite nice, overcast and mild with hardly any wind and it all looked set for a good match. I set up a 0.4 gram Malman Pencil with 0.10mm bottom and size 18 Tubertini 808 for my longer lines which would be at 8.5 metres as it’s quite a narrow swim and a 0.6 gram Drennan G-Tip for the 5 metre line where it was a little bit deeper. 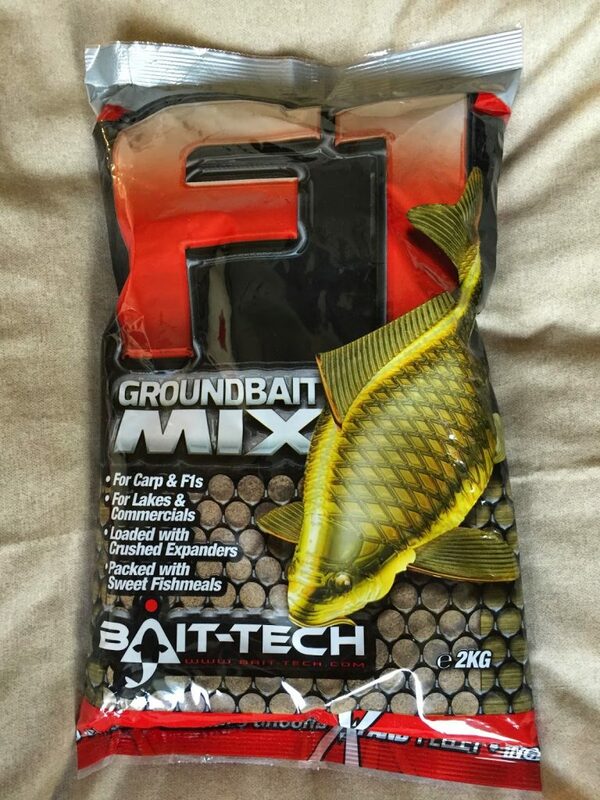 I mixed up some of the excellent Bait Tech F1 groundbait before having a coffee and was looking forward to the start. Adie blew the whistle and we were off, I fed half a pot of micros in front of peg 1 where I’d caught last time I drew this peg, half a pot at 8.5 metres angled to my right and then two balls of groundbait at the same distance but straight out in front of me. Finally I cupped in some more micros at 5 metres before starting on the right hand line with a 4mm expander on the hook. I was expecting to catch quite quickly but this didn’t happen which was a little worrying, still it was early days yet. I tried in front of peg 1, nothing, next I went over the groundbait line with the same result before trying all three lines again (I wanted to leave the shorter line as long as possible). Dom hadn’t caught yet and looking up the pond, Alvin Jones in peg 7 was the only person catching and he’d already netted a couple of carp. After about 40 mins I’ve finally caught a decent skimmer from in front of peg 1 but that was the only fish I had in the first hour. My next one came from the right hand line and I then had a smaller one from the groundbait line which signalled the start of a really good spell where I caught another six decent skimmers although I did bump one as well. I really thought I was going to bag up but then as we entered the third hour it started chucking it down and everybody started putting on waterproofs and few brollies went up around the pond. It was raining that hard I was struggling to see my float which I’d dotted right down, I did catch my tenth skimmer but then couldn’t buy a bite! Dom finally got off the mark with a small carp, Alan Jenkins on peg 6 had caught a couple of skimmers, Alvin was still getting odd carp and Jess Jordan had caught a couple from his inside line on peg 5 but it looked like it was quite hard going for most. As we reached the halfway point, I fed my three longer lines again before trying the 5 metre line for the first time, after leaving it for three hours I was hoping the skimbobs would be queued up but I never had a bite there and was soon back out over the groundbait line but apart from a small carp I couldn’t catch there either and I didn’t know what to do next. Just to add to the fun, the wind got up and I was struggling to hold the pole at 8.5 metres, I kept trying the 5 metre line but never had a bite there, Dom lost a skimmer and then landed one foulhooked in the wing. I decided to try my heavier, deeper 5 metre rig on the longer line where it would be a few inches overdepth and I’d hopefully be able to keep the bait still. With about an hour and a half to go, the float sunk from view and I netted a very welcome 8oz skimmer. I then had a lift bite and the strike saw a decent skimmer come flying out of the water. I wasn’t bagging but at least I was putting the odd fish in the net. I had a carp which I was convinced was a skimmer until it woke up when I’d got down to the top kit, I then had another skimmer foulhooked in the wing, much to Dom’s disgust. I had my third carp with about ten minutes to go and next put in had another skimmer nearly straight away and that was the last of the action. I ended up with 14 skimmers and 3 accidental carp, I wasn’t sure how I’d done but Scotty Russell turned up for a walk round and said that both Glynn and Nigel had struggled and that Andy Hembrow was admitting to 8lb or so and I hoped I had a little more than that. 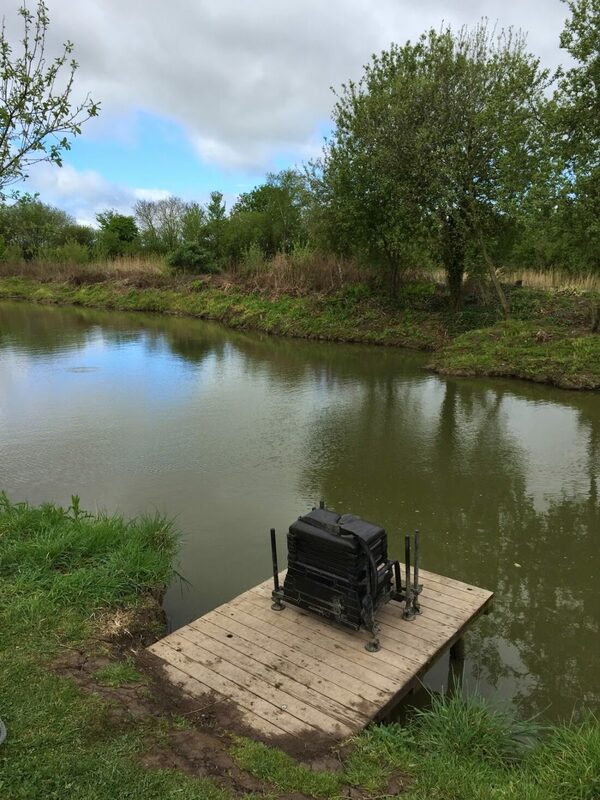 I packed up and as I took some of my kit back to the car, the scales arrived at Roy Hughes in peg 23 to start the weigh in, he had 4lb of silvers and 43lb 14oz of carp, then Nigel had 5lb 1oz of skimmers and 26lb 9oz of carp before it was Glynn’s turn, he’d really struggled for 1 skimmer and 7lb 4oz of carp. Andy Hembrow had nearly 36lb of carp and 8lb 13oz of skimmers to go into the silvers lead before Jon Martin plonked 51lb 15oz of carp in the weigh sling from peg 17 to take the lead on the carp front. Ray Wickham did well in peg 15 with 7lb 13oz of silvers which included a big eel, Rod W had 26lb odd of carp from peg 14 and Nick Harvey had 23lb 1oz of carp and 3lb 5oz of silvers in peg 13. Lewis J had 31lb of carp in peg 11 and Mark Leahy had a level 5lb of skimmers in peg 10. Rob Birch only had 1lb 5oz of silvers in peg 9 before Alvin did well with 41lb 11oz of carp and 6lb 8oz of silvers. Alan Jenkins had 4lb 11oz of silvers and then Jess had 24lb of carp and 2lb 15oz of silvers, Dom had chucked back and hadn’t had a very good day today and then it was my turn. My three carp went 8lb 2oz before my fourteen skimbobs went 12lb 6oz to win the silvers on the day and take a pound off of Glynn. So I’m in a good position for day two but a good draw is essential, I’ve been here before and done well on the first day on several occasions only to blow out on day two. There are several people who have good points for both silvers and carp and with no double bubble I’m obviously hoping they all fish for carp!